There have been so many gift card deals lately that sometimes it feels like it is hard to keep track. Starting tomorrow Albertsons will throw their hat into the ring with a gift card offer of their own. From 7/16/14-7/29/14 Albertsons is offering a $10 coupon off of your next grocery purchase when buying $100 or more in American Express gift cards. Fine Print: Buy $100 in participating gift cards Save $10 off your next grocery purchase Offer valid 07/16/14 – 07/29/14 Participating card: American Express ($25, $50, $100 denominations only). See gift cards for details, terms, conditions and (if applicable) fees. Subject to availability, while supplies last. Products may not be available in all states. One offer per transaction. Coupon cannot be used towards the purchase of a gift card or other store services. American Express $100 gift cards carry a $5.95 fee, so this is definitely a money maker if you can find a way to dispose of the cards. 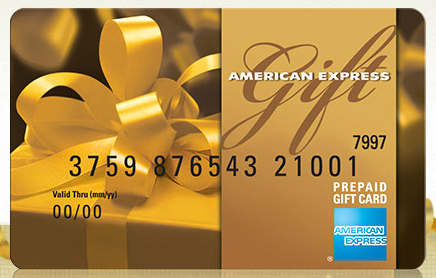 Unfortunately American Express gift cards are not pin enabled and cannot be loaded to Bluebird/Serve. Since the American Express gift cards offered in this deal are a relatively low denomination ($100), I think there are three main ways to get rid of the cards. Buy other gift cards with them – Some stores like CVS & Best Buy have been known to allow people to buy other gift cards with American Express prepaid cards. (This varies from store to store.) If you end up buying a Visa or MC gift card, then your profit will most likely be gone due to fees, so merchant gift cards with no fees are the best option here. Liquidate with Amazon Payments – Amazon Payments allows you to send up to $1,000 per month fee free. These cards can be added to your Amazon account and used towards this $1,000 limit. Just remember when adding the cards to your account, use the wrong expiration date or Amazon will put a $1 hold on the card that won’t come back for upwards of a week. With all of these recent gift card deals, it is evident to me that the banks are trying to incentivize the purchase of their gift cards. Gift cards have become a big business for them and they are making a ton of money on purchase & swipe fees. As a deal, this is only lukewarm since American Express gift cards aren’t as easy to liquidate as Visa & Mastercard gift cards. With that said, picking up a few of these to liquidate on Amazon Payments may be a good idea since you are ultimately making a few dollars if you already shop at Albertsons. does amazon payment still allow to send money from person to person? No. That went away awhile ago.